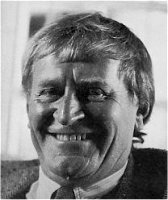 Johannes Meiring was born on 11 October 1934 in Potchefstroom, and grew up in Stellenbosch. He trained at the University of Cape Town and the Akademie der Bildenden Künste in Munich. He has travelled widely. He was chairman of the Northern Transvaal branch of the Simon van der Stel Foundation, a member of the Institute of SA Architects, and part time lecturer at the School of Architecture, University of Pretoria. 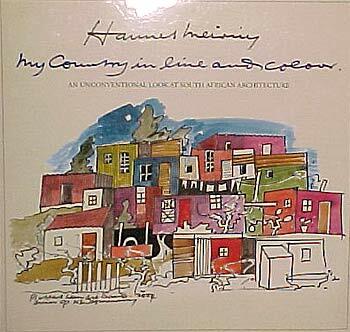 Hannes Meiring was a major influence in the preservation of South Africa's architectural heritage. Through his sketches and paintings of landscapes, town scenes and architecture he created an awareness of what we stand to lose. He participated in several group exhibitions in South Africa and Germany and many solo exhibitions. His work is represented at the universities of Potchefstroom, RAU, Stellenbosch, the S.A.B.C., City Council of Pretoria as well as the Pretoria Art Museum and the Department of Foreign Affairs. Hannes compiled a series of buildings illustrating South African residential architecture. Hannes Meiring was married to the journalist Martie Meiring and they had a daughter, Karen-Christine (aka Kabous). The family moved back to Stellenbosch in 2000. Hannes died on 3 May 2010. South Africa will always be deeply indebted to Meiring for his many contributions to the preservation of its architectural heritage, most notably for his valiant participation and leadership in the successful campaign to save Pretoria's historic Church Square buildings from demolition. Meiring was subsequently involved in the restoration of the Old Council Chambers and the historical Erasmus Castle in Pretoria East. In 1976 Meiring's practice was responsible for the design and construction of the Music Conservatory of the University of Pretoria. In 1984 he formed the practice Van der Lecq & Meiring with fellow architect Jac van der Lecq. The practice is best known for its work on the expansion of the Cape Town Parliament in 1984 and the restoration of the Johannesburg City Hall for the Gauteng Provincial Legislature in 1994. Other works of note include the Saldanha Steel Plant and the Rupert Museum in Stellenbosch. Award of Merit from the Akademie vir Wetenskap en Kuns for his work. Four Merit Awards for restoration and architectural design from the Transvaal Institute of Architects in 1989 and 1993. 1. His drawings sparkle with the freshness and uncontrived line of a Matisse or Picasso drawing. Always there is atmosphere and admirable veracity in the artist's sureness of touch. 2. With unstudied simple exuberance he revels in the atmosphere of the buildings he draws. The ethos of the building is brought to life. Looking at one of his drawings one has the feeling of awe at seeing something for the first time. His interpretation of his subject is never preconceived. Meiring enjoys buildings with a full-blooded whole-hearted ebullience. His use of colour is as free and expressionistic as the lines and squiggles, which interpret the intricacies of the subject. 3. Through Meiring's eyes we become aware of the charm and atmosphere of buildings. He draws with the skill and self-confidence of the mature architect he is. 4. Meiring's drawings are instant Africana that promise to become collector's items in the not too distant future.